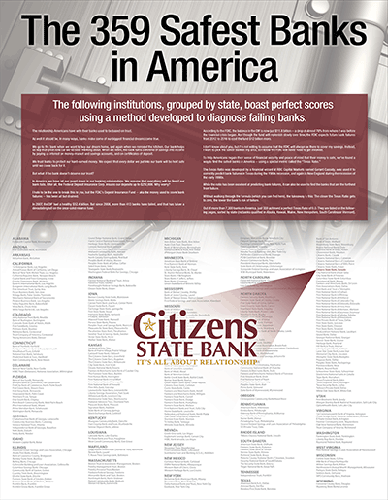 Citizens State Bank was chartered by the State of Texas in 1908 and has been operating in Jackson County since the day it opened. Today it is the only independent bank left in the county and has every intention of remaining that way. Independence means that banking policies and decisions are made by local management and overseen by a board of directors composed of several local people. We have a "Main Street" not a "Wall Street" approach to banking and customer service. The bank's primary mission is to serve the banking needs of all residents of Jackson County in a professional and courteous manner. We never forget that we are here to serve our customers who are also our friends and neighbors. Even in today's world of technology our focus will be on the individual customer and we want to visit with them both inside and outside the bank. Citizens State Bank has locations in both Ganado and Edna, making the bank convenient and accessible to all citizens of Jackson County. Both locations offer a friendly and capable staff that has allowed the bank to earn a major share of the local banking market. Our customers choose our bank because they know that they will never be just an account number to us. We do things because they are the right things to do for our customers and for Jackson County, not because some out of town home office tells us to do them. 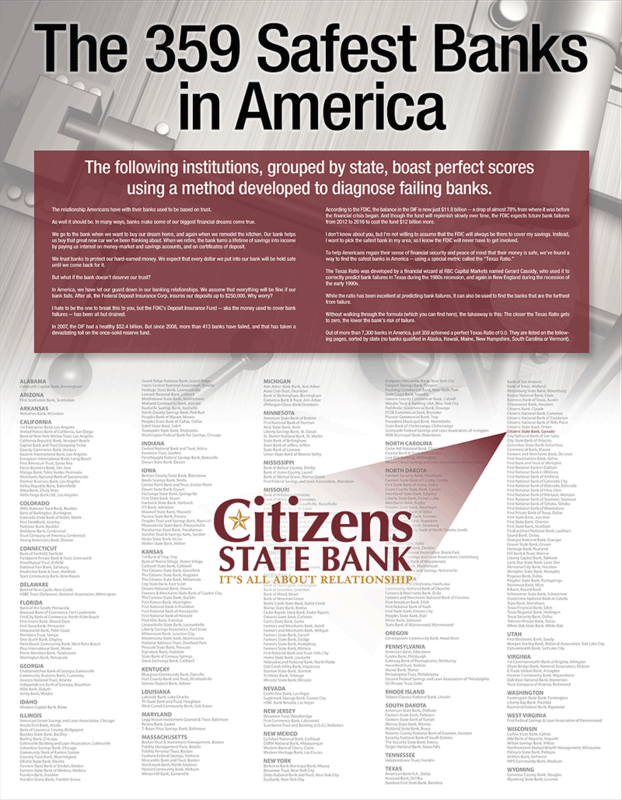 Citizens State Bank is proud to be one of the safest banks in America.